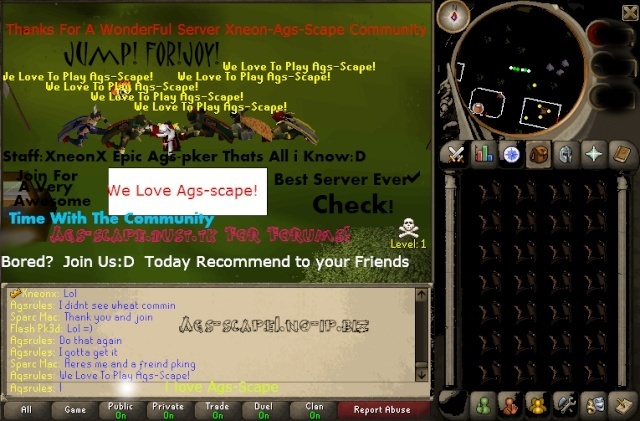 I was just thinking that the staff could make a youtube channel for AGS-Scape to advertise and show videos from our players on youtube. I will make an account. I will post the name for you. Thanks for your suggestion ^_^. The name on youtube is xXAgsScapeXx =).